Love is never easy, but it sure gets trickier when your heart literally refuses to contain itself. 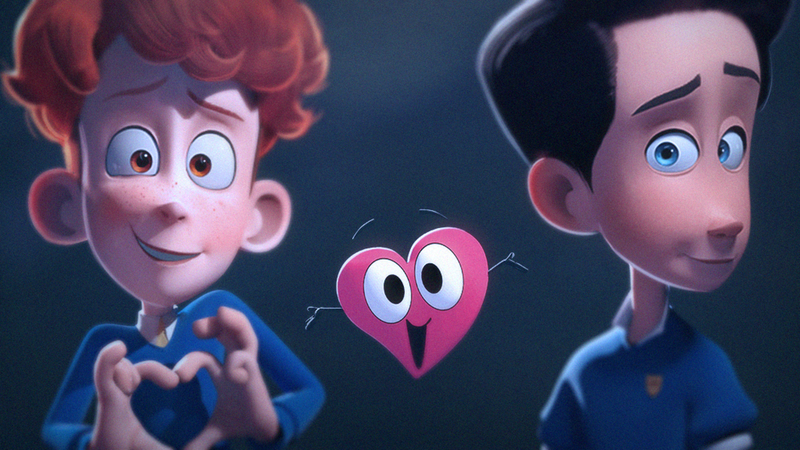 In a Heartbeat is an animated short about a closeted gay teen named Sherwin who goes to extreme lengths to keep his crush on fellow student Jonathan a secret. In a tale that’s performed without dialogue, Sherwin’s heart escapes his body and goes on its own journey to be with the young man Sherwin loves. The story is similar to Disney’s 2016 short Inner Workings, about a man who struggles with whether to listen to his head, his heart, or his gut. In the case of In a Heartbeat, Sherwin’s heart is the only thing that matters (as is typical with young love). And even though he and Jonathan face obstacles in realizing their true feelings for each other—including some questionable reactions from classmates—they two of them inevitably come together and make Sherwin’s heart full again. In a Heartbeat is by Beth David and Esteban Bravo, and was originally funded on Kickstarter. It’s a caring testament to the risks and rewards of young love, and will make any heart go aflutter. You can check out the animated short below.